I’ve been using various types of micellar water for makeup removal for quite some time now, and my obsession with this product continues. 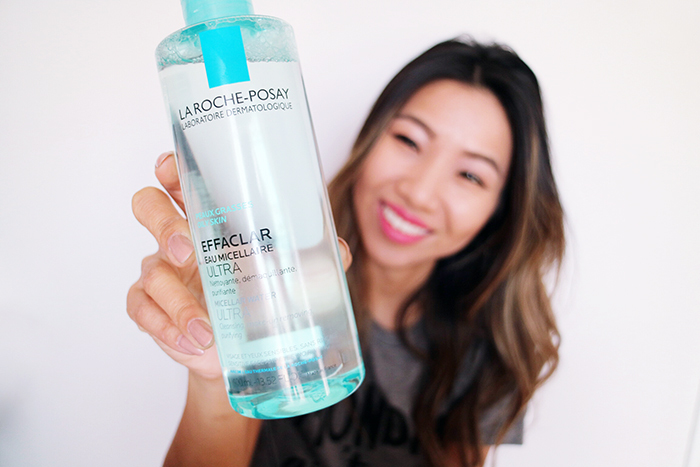 On my quest to replenish my stock, I decided to put La Roche-Posay’s new line of Micellar Water ULTRA to the test. The primary reason for my love of this type of makeup remover is that it is an easy peasy, one-step process. And secondly, it doesn’t leave my face feeling extremely oily or slimy compared to oil-based makeup removers. I find that when I use oil based removers, I must follow with cleansing my face immediately. The new line of Micellar Water Ultra brings a new technology that combines micelles with glycerin. This Glyco-Micellar arrangement is said to provide optimal efficacy, which I know La Roche-Posay prides itself of based on their full line up of other products. 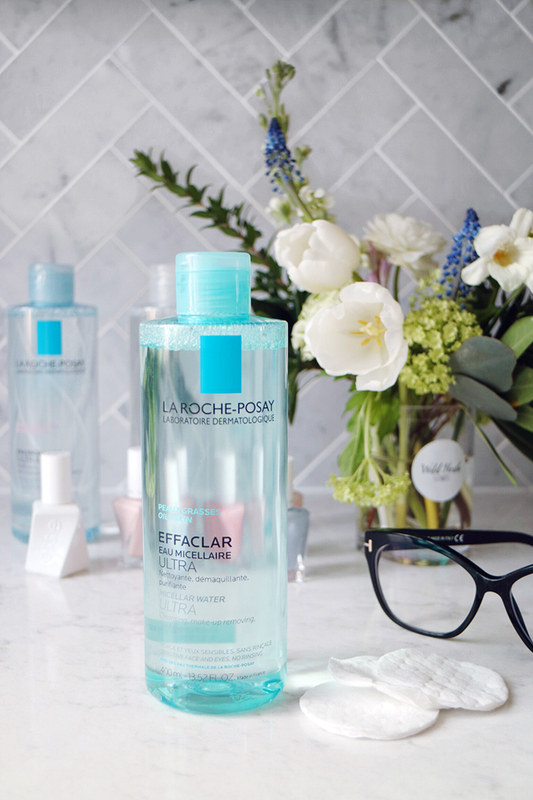 Keep reading to find out what other benefits La Roche-Posay Micellar Water ULTRA has to offer! The three major advantages of Miceller Water ULTRA are that 1) it removes most of your makeup from the first cotton pad, 2) it offers a smoother glide and less rubbing which means that it is easy on sensitive skin, and 3) due to the added glycerin (up to 5%), it leaves skin feeling hydrated, without feeling either stripped nor too greasy. 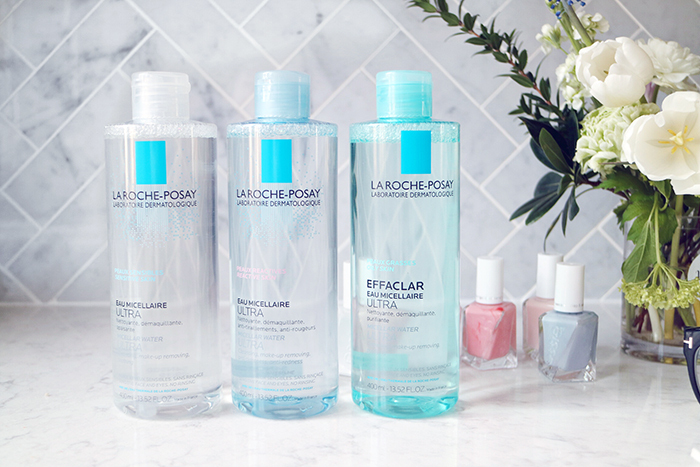 La Roche-Posay as an entire brand have always committed to offering solutions targeted to sensitive skin. 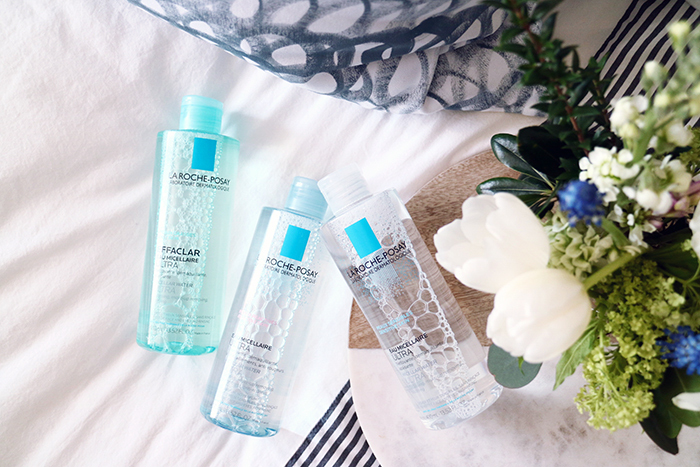 They’ve recognized that not all sensitive skin is alike and therefore released three variations of Micellar Water ULTRA to target all ranges of skin types – Normal to Sensitive, Dry to Reactive, and Oily. All three variations offer the same level of efficacy and benefits. However, each are targeted to address specific issues experienced during the make up removal process. I personally tend to have an oilier T-zone and that is also where I typically apply the most foundation and coverage. I found that the Oily option cleanses and purifies without leaving my skin too dry, and the smell is also really refreshing! Contrary, the Dry to Reactive option was invented to reduce redness and tightness which is often experienced. Most women’s core objectives when it comes to makeup removal is ensuring that foundation and eye liner/mascara are eliminated from the skin. But for those of you who live in a busy city such as Toronto, what about pollution particles?! After a day out and about, especially around high trafficked area, you can bet that those tiny pollution particles are penetrating your skin – causing stress and accelerating aging! These products were put to the test, and the results reveal that about 99% of foundation and 70% of mascara are eradicated during the first cotton pad. And when compared to using water alone, Micellar Water ULTRA is 41% superior cleansing of pollution particles. I’ve integrated this solution as part of my nightly routine. Using this product as my first step before cleansing, toning, and moisturizing. And to be honest, on my most lazy days, I can get away with skipping the cleansing step (shh! Don’t tell anyone!). Have you tried Micellar Water before? What are your thoughts? Disclaimer: This post was sponsored by La Roche-Posay, but all experiences and opinions are my own. I totally agree with you! I started using micellar water a couple months ago and I’m obsessed! It works better than any makeup remover I’ve ever tried.